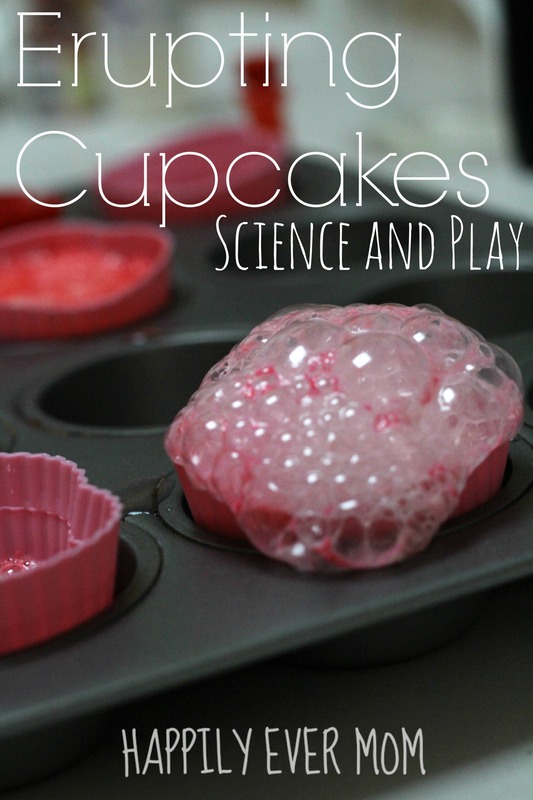 Mixing Dramatic Play with Science: Erupting Cupcakes! It’s been a busy week for my family. We are preparing for my husband to leave for a conference, my son is seconds away from being able to crawl, and my daughter is still on a high from going trick-or-treating! This past week, I wanted some uninterrupted time with my daughter to play. 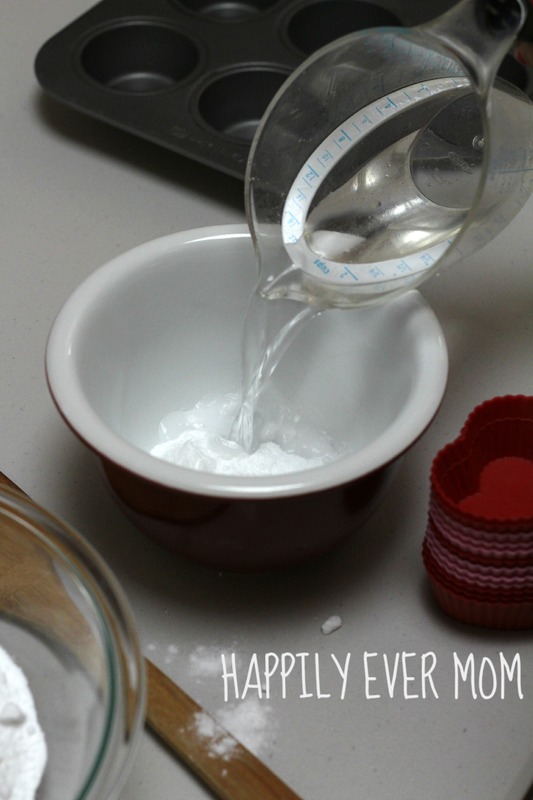 I’ve been dying to open a cupcake shop with her (since she wants to be a baker when she grows up) and I thought adding vinegar and baking soda into the play would be a big hit. I was right – she LOVED this activity. And, I got to spend an hour and a half of uninterrupted time playing with my little girl – I think that’s a win/win. The reason why I didn’t measure things with precision is because my daughter was in charge of measuring. 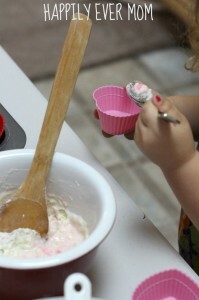 She coined herself the head baker, so she measured and mixed until she was satisfied. 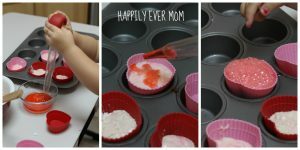 You can see in this picture that the ingredients weren’t thoroughly mixed, but that didn’t matter, these were her cupcakes! 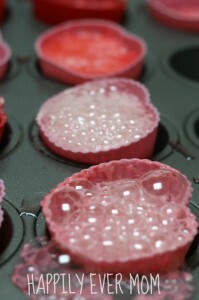 They will still erupt as long as there is enough baking soda anyway. Then, I introduced our “secret” ingredient! I had told her all morning that there was a secret ingredient that I would give to her. She didn’t know what the ingredient would do. 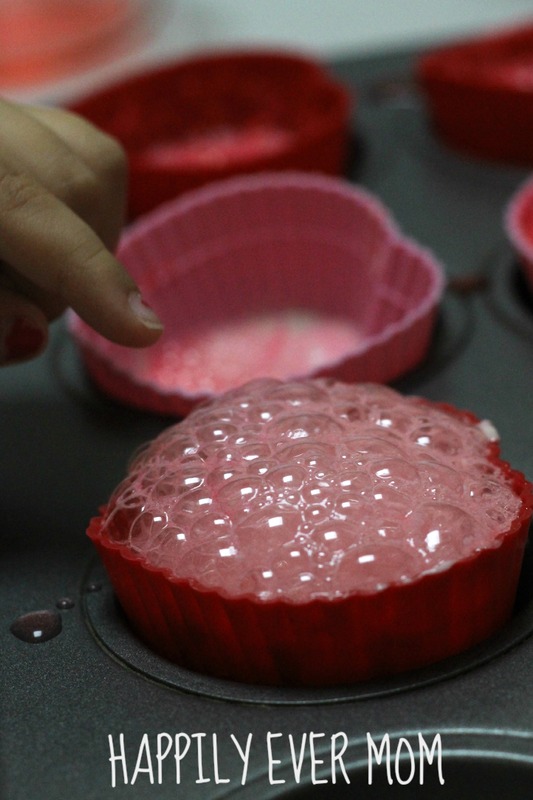 I told her to add it to the cupcakes and see what happens. She struggled with the turkey baster, but she was able to add the ingredient in and she was delighted by the bubbles! 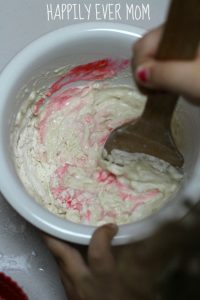 Have you guessed what the secret ingredient was yet? 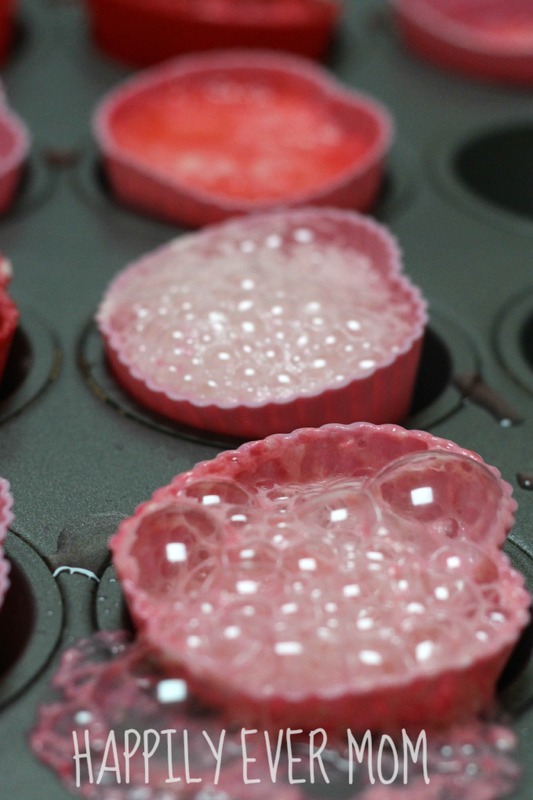 Vinegar mixed with some pink food coloring! She was very methodical as she filled each cupcake with vinegar. It was so great to mix her love of dramatic play with a little science play, too. 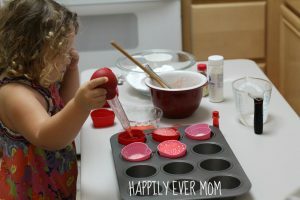 And, I loved watching her smile the whole time she was “baking.” I will warn you though: she asked to play cupcake shop the minute she woke up in the morning…It is that fun! What kind of science do you do with your kids?